A few weeks ago, I attended the “Curbing Violent Extremism” hosted by the ADAMS Center in Sterling, Virginia. 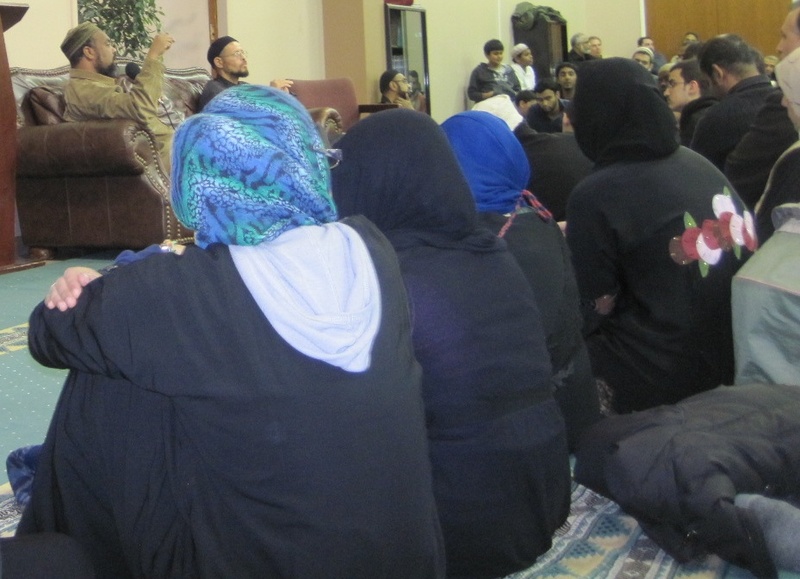 Zaid Shakir, an Islamic activist and teacher at Zaytuna College spoke alongside Mohamed Magid, the imam of the ADAMS Center and the new President of the Islamic Society of North America (ISNA). I found the discussion invigorating and refreshingly frank. Below is a recap of some of the major points and the Q&A that followed. The most “dangerous manifestation” of violent extremism here in the U.S. in Shakir’s view comes from those who seek to gain positions of prominence in the government to advance an agenda that will prove detrimental to Muslims. 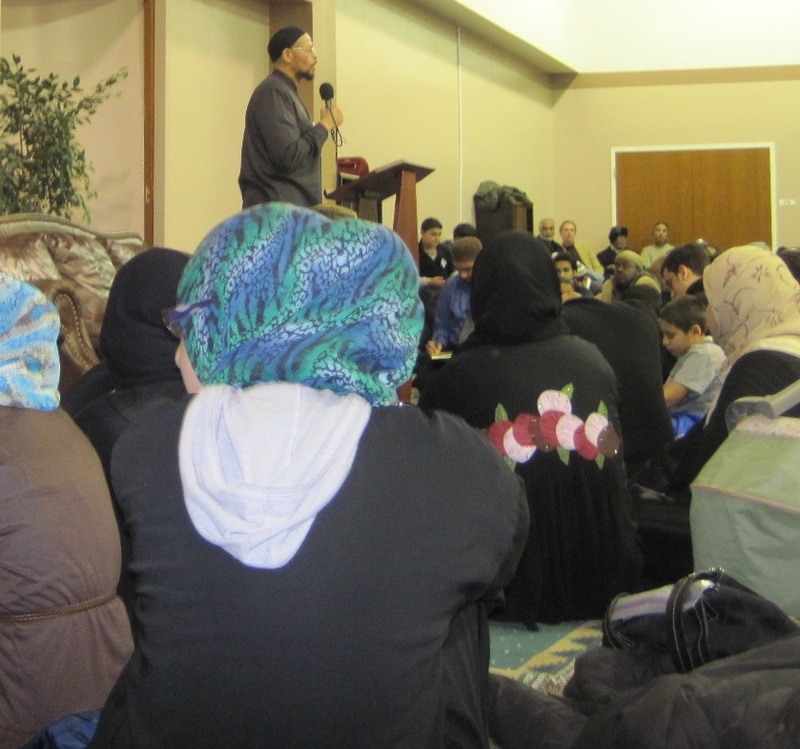 However, Shakir stated that his primary focus is on how the American Muslim community can “empower or diffuse” the agenda of those who seek to inflict ever greater levels of harm upon innocent Muslims around the world. He posits that the real targets in this climate of increased attention and hostility towards Muslims are not Muslims themselves but rather the “disappearing white middle class.” The fear of Muslims and Islam is conveniently used to distract attention away from the difficult economic climate. 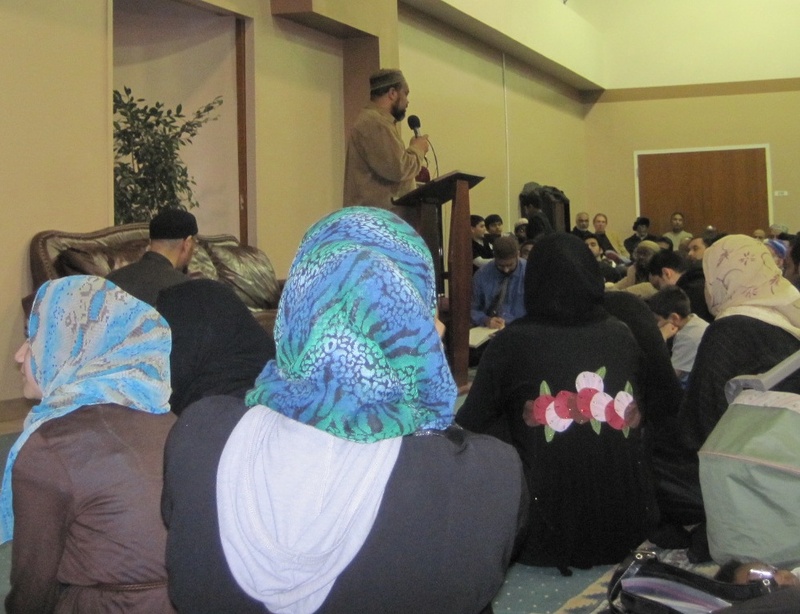 Imam Zaid counseled the audience to not be so naïve as to think that the claims of those including candidates for public office who say we need to wipe Islam off the face of the earth or bomb Mecca or intern Muslims are so far-fetched if the political reality changes, for “what human beings have done, humans can do” and the examples from history are numerous. In the face of such a concerted effort, the Muslims promoting a violent ideology would not be able to effective counter measures. Shakir answered critics who say that the violent extremists are only following a literal reading of the Quran with the verse, “Allah does not forbid you concerning a people that have not fought you over your religion nor expelled you from your homes that you have amicable and just relations with them and Allah loves those who are just.” Some may respond by saying that “the Americans are driving people out of their homes” but Shakir countered this by saying “most Americans I know haven’t driven anyone out of their homes.” Rather, he advised Muslims, especially frustrated and angry young Muslims that want to do something to join forces with those Americans like Michael Ratner and Chris Hedges that have dedicated their careers to shutdown the Guantanamo Bay prison and oppose the invasion of Iraq. “Michael Ratner has dedicated the last 8 years of his career with others in trying to shutdown Guantanamo Bay. What have you done to help him in this effort, did you go to law school or learn about the political mechanisms of this country and add your voice, organize your community, educate your neighbors, use the media…Where were you when Chris Hedges and Veterans for Peace chained themselves to the White House fence and were arrested while trying to draw attention to those veterans protesting the war? Had Shakir, a military veteran been here, he says he would have a joined them. Shakir closed his opening remarks with a final reminder, cautioning Muslims not to be used as unwitting “pawns” in a geo-political game and exhorting Muslims to stand up for justice and to recognize that if the community does stand up, that many other Americans will also stand with them. Imam Magid opened his remarks by acknowledging the unfortunate reality that despite the many condemnations of terrorism by Muslims, the wider American public will still say that they have not heard this message from the Muslim community. Violent extremism, in Magid’s view has three components – ideological, political, and social. He also emphasized that “on a political issue if you disagree, you have to use a political platform to make that disagreement known. Trying to take up arms in Pakistan, Afghanistan, or Iraq does not solve the real underlying issues.” In addition, Magid believes there is a need for Muslims to work to combat the negative portrayals of Muslims in the media and to offer young people an opportunity to learn “authentic and true Islam” to minimize the reliance on sometimes dubious internet sources.